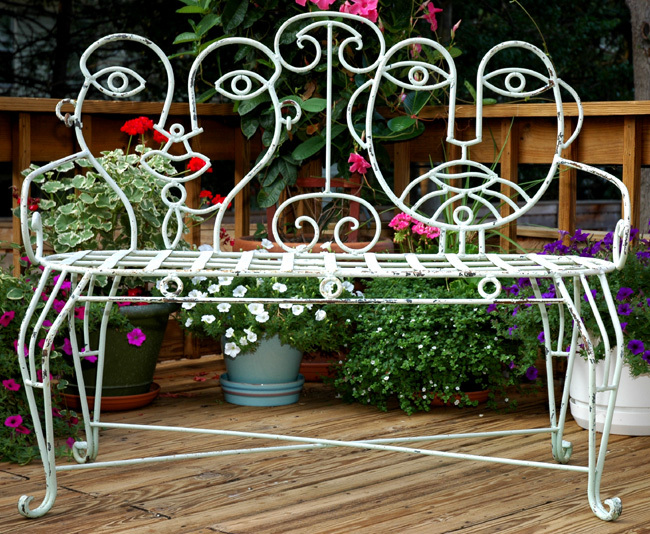 Wrought iron two person patio bench with John Risley modern styled his and her faces integrated into the back rest. Female face has earrings. Vintage piece with partial paint loss.